where you can share jokes with your photos. Ab jokes apne photo ke saath share kare. 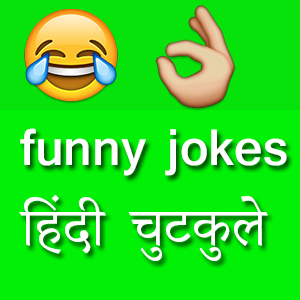 apne jokes add kare ..
ya topjokes.in se download kare. If U Receive any CALL from income tax department, Don’t panic… Just ask them to send a written notice. Do not provide any details like address or bank details. Please be careful, some fraudsters have started this. They sound very genuine. Be careful and inform all your colleagues/ family/ friends. Be careful while depositing new currency notes in the bank. The bank staff is changing details of your new currency notes of 2000 and 100 into old 1000 and 500 in the system. But I got two sms of deposit of Rs7000/- and Rs43000/- indicating deposition of old 500/- and 1000/- notes. On enquiring from the branch it was made clear that they have changed the currency denominations. All this was done to make someone’s black money white.However i got it rectified and bank manager appologised. Kindly be attentive because at the end of the day we will have to face IT authority and not the bankers and they will deny this at that time. So while depositing new currency notes kindly get it endorsed from the bank and keep a proof with you.